German labor leader. Chairman of the German Federation of Trade Unions and editor of their journal. German mathematician (co-inventor of Calculus, modern mathematical logic), physicist (law of conservaion of energy), geologist, etc., etc. Initially a mechanical materialist in philosophy, but in opposition to Locke's empiricism, moved to a position of rationalism and objective idealism with his theory of Monads - the indivisible, spiritual substances of which the Universe is composed; the monads were endowed with self-activity, but had no physical influence on one another; held that the criterion of truth is clarity of knowledge, tested by the application of Aristotle'sFormal Logic. See Hegel's analysis and on Law of Sufficient Ground. Leibniz is most renowned as co-founder of the calculus with Newton (Newton and Leibniz each invented different systems of notations for calculus independently; there was an intensely competitive relation between the two men who would set each other mathematical puzzles to see whose calculus was superior, and Newton faked the date of publication of the second edition of the Principia to claim priority) and founder of mathematical and symbolic logic. 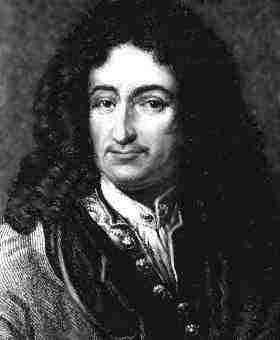 Leibniz also did important work in mechanics, geology, biology, history, linguistics and engineering. He was prominent in the public affairs of his day, putting a scheme for the unification of the German states, which had been the legacy of the Thirty Years War, to the Imperial Diet, argued for the reunification of the Protestant and Catholic Churches, founded the Academy of Sciences under Frederick I of Prussia, and participated in every sphere of science, art and public life in the Europe of the Habsburgs and Louis XIV. In politics, Leibniz kept to a middle ground, but in philosophy he vigorously criticised the positions of Descartes, Locke, Newton and Spinoza. One of the leaders of the Bolshevik party since its formation in 1903. Led the Soviets to power in October, 1917. Elected to the head of the Soviet government until 1922, when he retired due to ill health. Lenin, born in 1870, was committed to revolutionary struggle from an early age - his elder brother was hanged for the attempted assassination of Czar Alexander III. In 1891 Lenin passed his Law exam with high honors, whereupon he took to representing the poorest peasantry in Samara. After moving to St. Petersburg in 1893, Lenin's experience with the oppression of the peasantry in Russia, coupled with the revolutionary teachings of G V Plekhanov, guided Lenin to meet with revolutionary groups. In April 1895, his comrades helped send Lenin abroad to get up to speed with the revolutionary movement in Europe, and in particular, to meet the Emancipation of Labour Group, of which Plekhanov head. After five months abroad, traveling from Switzerland to France to Germany, working at libraries and newspapers to make his way, Lenin returned to Russia, carrying a brief case with a false bottom, full of Marxist literature. On returning to Russia, Lenin and Martov created the League for the Struggle for the Emancipation of the Working Class, uniting the Marxist circles in Petrograd at the time. The group supported strikes and union activity, distributed Marxist literature, and taught in workers education groups. In St. Petersburg Lenin begins a relationship with Nadezhda Krupskaya. In the night of December 8, 1895, Lenin and the members of the party are arrested; Lenin sentenced to 15 months in prison. By 1897, when the prison sentence expired, the autocracy appended an additional three year sentence, due to Lenin's continual writing and organising while in prison. Lenin is exiled to the village of Shushenskoye, in Siberia, where he becomes a leading member of the peasant community. Krupskaya is soon also sent into exile for revolutionary activities, and together they work on party organising, the monumental work: The Development of Capitalism in Russia, and the translating of Sidney and Beatrice Webb's Industrial Democracy. After his term of exile ends, Lenin emigrates to Münich, and is soon joined by Krupskaya. Lenin creates Iskra, in efforts to bring together the Russian Social Democratic Labour Party, which had been scattered after the police persecution of the first congress of the party in 1898. After leading the October Revolution, Lenin served as the first and only chairman of the R.S.F.S.R.. In 1919 Lenin founded the Communist International. In 1921 Lenin instituted the NEP. During 1922 Lenin suffered a series of strokes that prevented active work in government. While in his final year – late 1922 to 1923 – Lenin wrote his last articles where he outlined a programme to fight against the bureaucratization of the Commmunist Party and the Soviet state. Lenin died on January 21, 1924. Further Reading: Lenin Biographical Archive of the Lenin Internet Archive. German social democrat, before WWI member of the left wing. Editor of newspaper that printed articles from Luxemburg, Mehring, etc. When WWI began he became a fierce chauvinist. He continued to move to the right after the war ended and became editor for Hugo Stinnes, industrialist and press magnate. He was subsequently expelled from the SPD in 1922. Former Zionist youth leader who became a leading Belgian Trotskyist during World War II. Arrested by the Nazis in June 1944 and murdered in Auschwitz in September of the same year. Alexei Leont'ev’s whole life was linked to the Moscow State Lomonosov University (MGU). In 1921, he began his studies at the historical-philological Faculty of the University. The historical-philological Faculty, at the time, included a Department of Philosophy at which G. I. Chelpanov was teaching psychology, and Leont'ev studied psychology with him. In 1924, Leont'ev graduated from what became the Faculty of Social Sciences. From 1924 to 1930 Leont'ev worked closely with Lev Vygotsky. In 1931, he was appointed to one of the psychological institutions in Kharkov, but his collaboration with Vygotsky continued. In 1950, Leont'ev became the Head of the Psychology Department at the Faculty of Philosophy of MGU. It was due to his hard work and efforts that this department became an independent Faculty in 1966. Leont'ev studied deliberate memory and attention and developed his own theory of activity which linked the social context to development. Leont'ev’s Activity Theory was the basis of much research in Russia, especially in the areas of play and learning. Activity is always characterized by its object-orientation and it fulfils a specific purpose. The driving force for the activity is its motive: the motive is what drives the activity. As Leont'ev put it: “there can be no activity without a motive”. Action is the basic component of activity. Action is a means of realizing the activity and consequently satisfying the motive. The distinctive feature of an action is the fact that it is always goal oriented, it aims at satisfying a particular goal. The operational part of action refers to the specific circumstances surrounding its execution. Operations consitute the means by which an action is carried out. Leont'ev remained the Faculty Dean and the head of the Department of General Psychology until his death from a heart attack (serdechno-sosudistoj nedostatochnosti) in 1979. Mining technician, became an adherant of communism in Russia where he was serving as a soldier, had been one of the founders and first leaders of the Belgian Communist Party and then the Left Opposition and the leader of the Worker’s federation of Charleroi. He had led the famous miners’ strike in this region in 1932 and then was the leader of the Belgian section of the Left Opposition after its split with the “Bruxellois” Van Overstraeten and Hennaut. He had been a supporter of entrism into the Socialist Party and had been the real leader of the group that was active in the POB (Belgium Party of Labor) and which had grouped round Action socialist revolutionnaire. German tailor. Longtime friend of Marx and Engels. Member of the Communist League – where he was known as "Karstens." Participated in 1848-49 revolution. Defendant at the Cologne Communist trail (1852). Member of the General Council of the International Working Men's Assocation. Le Sueuer's first article was published in 1927. She continued to write widely-acclaimed journalism and experimental fiction into her 90s. She incorporated political themes into her poetry and fictional writings as well as reportage on labor struggles, the plight of Indians, farm and rural people, the poor during the Depression, and women's issues. A member of the Communist Party, during the McCarthy-era 1950s, she was blacklisted but wrote prolifically, stashing work in her home. Le Sueur wrote several children's books during this time, in which she combined history and regional folklore, with a positive role for Native American characters, such as in the novel Sparrow Hawk. In the 50s she also began to campaign for Indian land rights and lived for a time among American Indians. Her 1975-published book of poetry, Rites of Ancient Ripening, was written during this period and reflects how Native American culture and lore influenced her thinking. With the women's movement of the 70s many of Le Sueur's works were given new life–several published for the first time or reprinted. She continued writing progressive literature until close to her death, in St. Paul at age 96. See Meridel Le Sueur Archive, and her children's books listings in the Children's Literature: Bibliographies section. Founder of the ancient Greek school of Atomism (with Democritus), which asserted that the world is composed of small particles of matter with empty space between them. The atoms were hard, indivisible and identical in form and size and in ceaseless motion. The Atomists put forward this view in opposition to the Eleatics of c. 540 BC who held that everything was fixed and motionless and motion but an illusion of the senses. For the Atomists, there was "unceasing becoming and change in things .. what is is no more real than what is not [the vacuum] and both are alike causes of the things that come into being. The Atomists thus sought to reconcile Heraclitus ("everything flows") and the Eleatics ("change is an illusion"). German lawyer and member of the German Social Democratic Party (SPD). A long time friend and sometimes attorney of Rosa Luxemburg. After the murder of Lexemburg and Liebknecht, Levi put pressure on the authorities until the soldiers who murdered them were eventually convicted of the crime. Paul Levi was born on 11 March 1883 in Hechingen. As a barrister taking on political cases, he met, defended and came under the influence of Rosa Luxemburg. Levi proved his worth to the revolutionary workers’ movement during the First World War, as Lenin pointed out in his defence in 1921. After Luxemburg, Karl Liebknecht and Leo Jogiches were murdered in 1919, he took the helm of the German Communist Party (KPD). Levi, however, soon developed differences with the leadership of the Communist International on various organisational and political issues, but his criticisms during the Second Congress of the Communist International were largely unpublished, supposedly because of a ‘paper shortage’. His differences came to a head over the KPD’s disastrous March Action of 1921. Having disagreed with the emissaries of the Communist International when he attended the Livorno congress of the Italian Communist Party, and resigned as the KPD’s Chairman in February 1921, he was out of the way in the lead-up to the March Action. Discussions of this affair at the Third Congress of the Communist International took place more in private than at plenary sessions, and thus the devastating criticisms of it by Lenin and Trotsky, fully concurring with Levi, are not apparent from the minutes and resolutions. Faces and reputations had to be saved, a split prevented, and a new orientation outlined. Diplomacy played a large part in the elaboration of a balance. Expelled from the KPD, Levi remained a Reichstag deputy until his death, representing the Social Democratic Party (SPD), whose left wing he led. He published the weekly Sozialistische Politik und Wirtschaft, which analysed and commentated on events. This later merged with Klassenkampf, the journal of the SPD’s Marxist left wing. This grouping was to form the SAP in 1931. 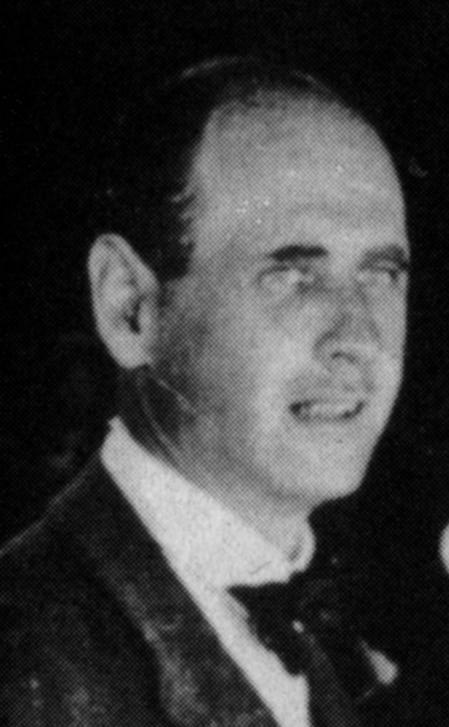 Commenting on the tragic death of Levi, Arthur Rosenburg, in his classic study Geschichte der Weimarer Republik (Frankfurt am Main, 1961), described how he had ‘continually developed as a proletarian statesman’, and how, with his calls for ‘the Socialist workers to return to determined class struggle if they wished not merely to preserve their own existence but also the democratic republic... in the coming crisis, decisive sections of the German proletariat should have listened to Levi’ (p196). Levi fell to his death on 9 February 1930. The circumstances were never clarified. He was still investigating, at considerable personal risk, the murders of Luxemburg and Liebknecht in an attempt to bring the killers to trial, and some have suggested that he was himself murdered. But the consensus is that his death was an accident. Only one month later, with the fall of the ‘Grand Coalition’ led by Hermann Müller, the Weimar Republic effectively came to an end. Articles by Levi can be found in H Gruber (ed), International Communism in the Era of Lenin (New York, 1966 and 1972). These are ‘The Lessons of the Hungarian Revolution’, ‘The Munich Experience: An Opposing View’, ‘The Beginning of the Crisis in the Communist Party and the International’, and a large chunk of ‘Our Course Against Putschism’. The 1966 edition contains Gruber’s useful essay ‘Paul Levi and the Comintern’, which is omitted from the 1972 edition. Readers of German can refer to Charlotte Beradt’s biography Paul Levi: Ein demokratischer Sozialist in der Weimar Republik (EVA, Frankfurt am Main, 1969). Richard Lowenthal’s The Bolshevisation of the Spartacus League (St Anthony’s Papers, no 9, London, 1960) gives an in-depth treatment of the KPD and its relations with the Executive Committee of the Communist International. The recently published essay by the young Russian historian Alexander Vatlin, ‘"Genosse Thomas” und die Geheimtätigkeit der Komintern in Deutschland 1919-1925’, in Die Komintern 1919-1929 (Decaton, Mainz, 1993), draws upon the activities of the ECCI in Germany, and its conflicts with the KPD’s leadership in the early 1920s. Belgian-born French anthropologist and sociologist who carried out extensive studies of isolated tribal societies; Structuralist. In studying the relation between innate behaviour and social conditioning, Lévi-Strauss came to the conclusion that the main determinant of human behaviour was structure. He focussed on language and myth as the principal vehicles of collective consciousness which formed the basis of stable social structures. After studying philosophy and law at the University of Paris, Lévi-Strauss worked as a school teacher and was associated with Jean-Paul Sartre's intellectual circle. While holding the position of sociology at the University of São Paulo in Brazil, he studied the Indian peoples of Brazil. While working as a visiting professor at the New School for Social Research in New York City he was impressed with the work of the structural linguist Roman Jakobson. From 1950 to 1974 he was director of studies at the École Pratique des Hautes Études at the University of Paris, following his predecessor Emile Durkheim..
Lévi-Strauss's first major work, The Elementary Structures of Kinship was published in 1949 and he soon achieved wide renown for his complex and thoroughly researched studies of a bewildering array of social structures encountered in his numerous field trips, and the way in which these structures were supported by systems of taboo and mythology. These structures he analysed with complex mathematical tools, the like of which were previously unseen in the field of sociology. See his 1958 Structural Anthropology. Lévi-Strauss's structuralism was an effort to reduce the enormous amount of information about cultural systems to what he believed were the essentials, the formal relationships among their elements. He viewed cultures as systems of communication, and he constructed models based on structural linguistics, information theory, and cybernetics to interpret them. Lévi-Strauss was a Communist who frequently took issue with those who adhered to a patronistic attitude towards other cultures, insisting on the cultural validity of the systems of beliefs that other peoples used in order to organise their own relation to the world. He was a Communist while in Paris, he said, but when he was with the hill-people somewhere in the Brazilian jungle, then he had to take an objective, not a partisan, view of the cultural values of the people. German-American social psychologist, one of the founders of group dynamics, group-learning, organisational development theory and action research. Kurt Lewin was born in 1890 in Mogilno in Prussia (Poland). He was one of four children in a middle class Jewish family. They moved to Berlin when he was aged 15 and he was enrolled in the Gymnasium. In 1909 Kurt Lewin entered the University of Freiberg to study medicine. He then transferred to the University of Munich to study biology. Around this time he became in involved in the socialist movement. His particular concerns appear to have been the combating of anti-Semitism, the democratization of German institutions, and the need to improve the position of women. Along with other students he organized and taught an adult education program for working class women and men. While working for his doctorate at the University of Berlin he developed an interest in Gestalt psychology. He was wounded while serving in the German army. In 1921 he joined the Psychological Institute of the University of Berlin, where he lectured in philosophy and psychology. His work became known in America and he was invited to spend six months as a visiting professor at Stanford (1930). Lewin worked briefly with the Frankfurt Institute for Social Research, but with the political position worsening in Germany, in 1933 he and his wife and daughter emigrated in the USA, where he became a citizen in 1940. Kurt Lewin was first to work at the Cornell School of Home Economics, and then, from 1935 to 1944, at the University of Iowa. At the University of Iowa he undertook research linked to the war effort including a study of troop morale, psychological warfare, and reorienting food consumption away from foods in short supply. At the same time he spoke frequently on minority and inter-group relations and worked with the American Jewish Congress in New York and was involved in studies of religious and racial prejudice. In 1944 he was a founder of the Research Center for Group Dynamics at MIT. In 1946, working with community leaders and group facilitators he developed the idea of ‘T’ groups or ‘basic skill training groups’. This theory was concerned with the process of group learning and collective decision-making. Lewin’s ideas drew from Gestalt psychology and parallels many of Dewey’s ideas about group learning. Lewin died of a heart attack in February 1947. Lena Morrow Lewis was born in 1862. As a young woman she joined the Women's Christian Temperance Union (WCTU). Later she became active in the women's suffrage campaign in San Francisco and attended the Karl Marx Club in Oakland. In April 1902 Lena Morrow Lewis joined the Socialist Party of America. Lena became a full-time political organizer and later claimed that over a 30 year period she "covered every state in the union except Mississippi in organization and educational work". In 1907 Lena became the first woman to be elected to the National Executive Committee of the Socialist Party. She also organized the Alaska Territorial Socialist Party and served as vice-president of the Alaska Labor Union. In 1920 Lena Morrow Lewis took charge of the Eugene V. Debs campaign in the North-West and supported Robert LaFollette and Burton K. Wheeler in 1924. She also served as State Secretary of the California Socialist Party from 1925 to 1930 and was editor of the Labor World from 1925 to 1931. In 1932 she managed the Socialist campaign in Salt Lake City as well as working for the party in Wyoming, Colorado, Utah and Idaho. Lena Morrow Lewis complained that the Socialist Party of America "became a party of dictators and lost its democratic soul" and in March 1936 joined the American Labor Party. Lena Morrow Lewis died in 1950.